Annie believes that anything you put in your body either prevents or causes disease, so it’s important to make the right choices one step at a time. Healthy living should be defined as a whole, involving nutrition, physical, mental and spiritual wellness. 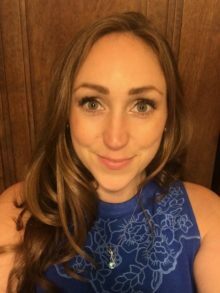 Recently moved back to the Midwest after living in San Diego for 10 years where she counseled people of all ages, assessing current health conditions, and setting reasonable health goals. All while making it important that healthy eating doesn’t have to be a punishment but something that can be fun and rewarding.